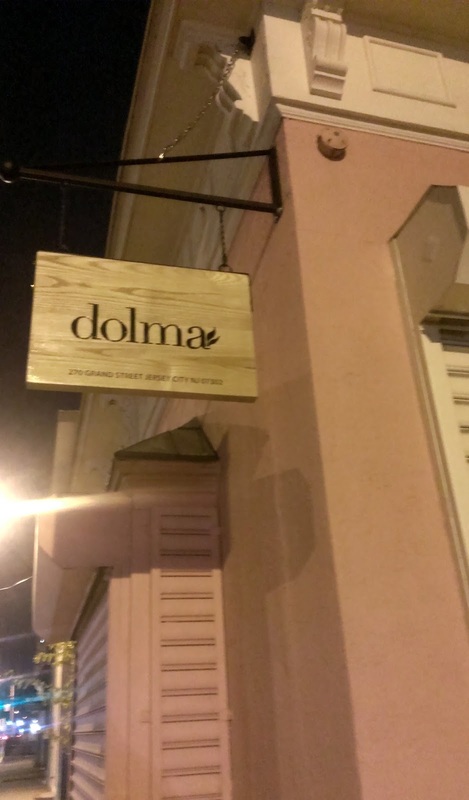 Dolma, a new Mediterranean restaurant at 270 Grand Street (sort of in between Grand and Bright), opened for business recently. While not an event, Grandma Downtown is running an Oktoberfest roll special through 11/1. The chicken sausage & onion rolls and bacon cheddar sausage and jalapeno rolls are $2 each for delivery. Several months ago, Prato Bakery, 61 Erie Street, faced some controversy when they were forced to close down the garden they were building and remove some of their indoor seating after being the subject of zoning complaints from a neighbor. Recently, and most likely in response to the issues they faced, Prato applied for a Restaurant 2 variance which is scheduled to go before the Zoning Board this Thursday. From my understanding (based primarily on what I've read on the Harsimus Cove Association's FB page and some relatively simple Google searches) a Restaurant 2 variance would allow for indoor and outdoor seating, a full kitchen, and the possibility for alcohol to be served on premise with the appropriate liquor license. Cocoa Bakery suffered an oven fire early on the weekend and will have to replace their commercial oven. If you can, stop by to support them and eat something delicious in the process. Ahri's Kitchen has added some new menu items. Congratulations to Raval for their profile in the Hudson Reporter. Seven Sheep Coffee will now be carrying Do You Tea seasonal and signature blends. When Thirty Acres announced they were closing, they mentioned they'd been in talks with another restaurant development group familiar with Jersey City to take over the space and over the weekend, it was revealed that it will be taken over by the team behind Battello, Chef Ryan DePersio and his partners. A correction from last week! I misunderstood the Kitchen's tweet about their new drink menu and the corkage feel is now $25, not $10. Apologies for the confusion. Broa Cafe is modifying their hours. They'll now be closed on Sundays but will have daytime hours Friday and Saturday. Congratulations to Left Bank on celebrating two years in business. Beginning this Wednesday, Downtown Yogurt will be offering fresh doughnuts every day. While there a lot of great events happening this weekend, there's one in particular worth checking out. 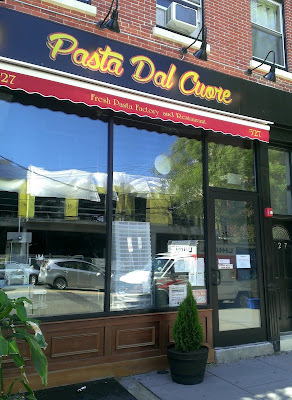 Shortly after Pasta Dal Cuore opened their pasta counter, they began working on their next project: putting a restaurant in the back of the store. The restaurant, which naturally focuses heavily on the house-made pasta, opened in June, offering classic but modern Italian dishes with specials that draw from local markets and what's in season. The restaurant is on the smaller side, but comfortable and noise is kept to a minimum. It's equally fitting for date night, a family night, or just dinner with friends. It does get a little crowded on the weekends, so if you want to come with a group, I recommend a reservation. Keep in mind, it's also BYO, and the staff will happily set you up for whatever you bring. The meal begins with a complimentary bread basket, accompanied by a dish or two of something to dip it in. In our case, we had a delicious eggplant caponata and seasoned olive oil. 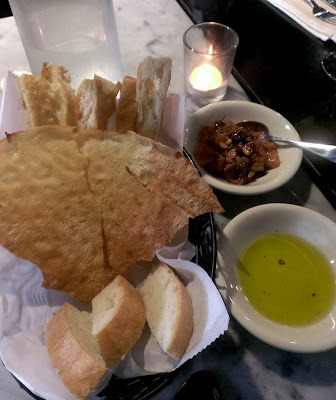 The bread basket is one of the best I've had in Jersey City, containing three kinds of bread including a special Sardinian flatbread reminiscent of an herbed cracker and a Tuscan foccacia-like bread, rich with slightly salted olive oil you could taste in each bite. Definitely take advantage of the variety and try a little of everything. Bell + Gray, the revised Carrino Provisions, officially opened Monday evening and a few more details are now clear. While the space isn't overly changed, minus the addition of the bar and a few other decor details, they did put the TVs back in the front bar area (formerly the market space) which is good news for those who thought a more upscale sports bar would be a good addition to the area. If you're not a fan of that idea, the back dining room remains semi-separated and has its own bar although it is apparently reservation only . That seems like an odd choice to me, considering Jersey City is very much a walk-in kind of town. Yesterday, it seemed as though they were letting people back there without a reservation, but that might have just been for opening night. If you feel strongly about it, I'd recommend calling ahead. The wine cellar in the basement will be available for private events as it was when it was the Osteria. The restaurant does also have patio seating in the courtyard although I'm not sure how long that will stay considering the season (my question about heaters outside went unanswered) and they are planning on restarting the Weekly BBQ Buffets although don't yet know when they'll resume. The fate of the brunch buffet they had recently instituted prior to renovating is yet to be determined. While the restaurant still doesn't have a website, the menu can be seen here. While I haven't yet been so can't vouch for size of dishes, the price point does seem relatively in line with most restaurants around town at this level. They'll be closed for a private event Wednesday (10/13), but are otherwise planning to open at 5pm every night this week. Join 9 Bar Cafe for a special Columbus Day and Italian Heritage Month celebration tomorrow. The Hamilton Inn will be serving their brunch menu tomorrow in honor of the holiday. Congratulations to Brazicki's Tavern, 153 Liberty Ave, on celebrating their 70th anniversary. Beginning 10/14, The Kitchen at Grove Station will no longer be BYO and will have a $10 $25 corkage fee along with their all new beer and wine list. Cocktails to follow soon. 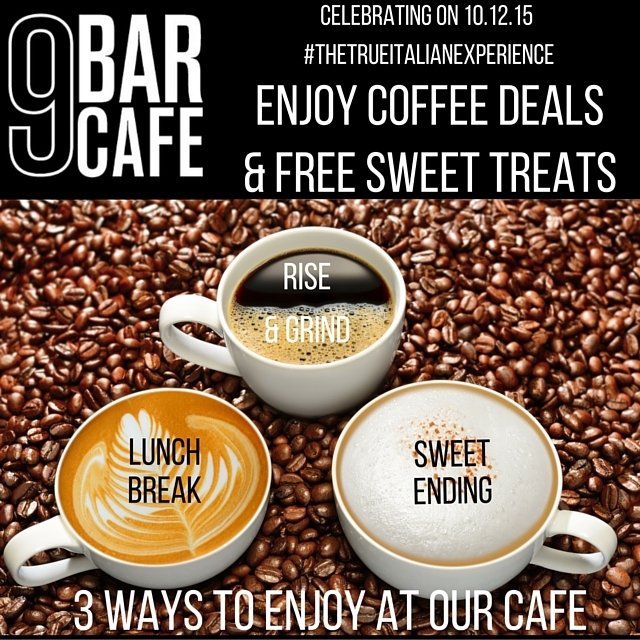 9 Bar Cafe "The True Italian Experience"
Join 9 Bar Cafe as they celebrate Italian Heritage Month and Columbus Day with a day-long coffee celebration tomorrow, Monday 10/12. 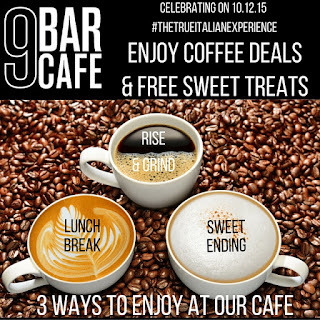 I've written before about the quality of 9 Bar Cafe and their coffee and tomorrow is the perfect chance to experience all they have to offer with three different deals to enjoy their coffee and food and have the true Italian experience. 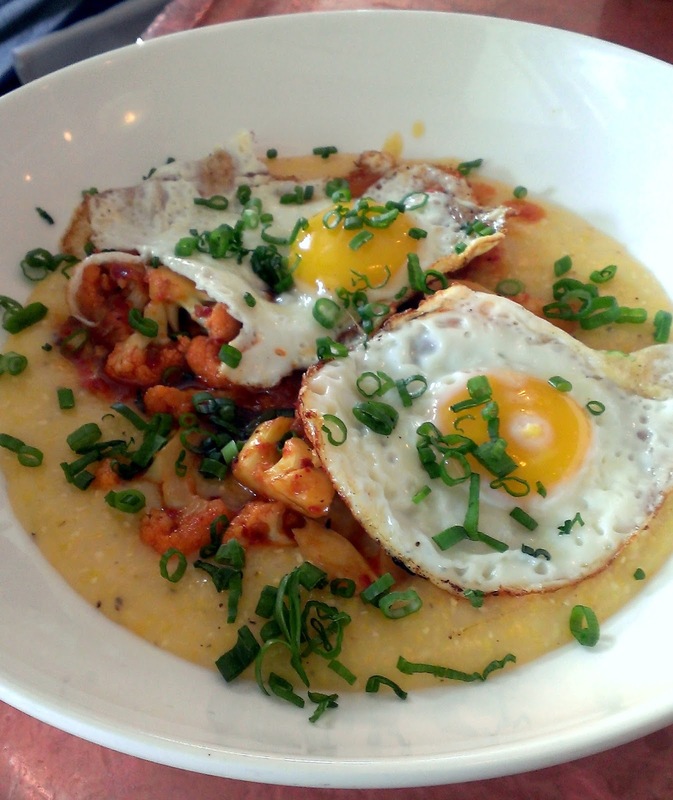 About three weeks ago, Carrino Provisions quietly shut down the market portion of their space. They stopped tweeting and closed off their Instagram. When asked on Twitter, all they'd say was there were some exciting changes to come. The first time I met Daniel Grunes, co-owner of Taproot Organics and former chef, at the launch party of the first Eighty Mag, he asked me what I thought was the most interesting restaurant in Jersey City . 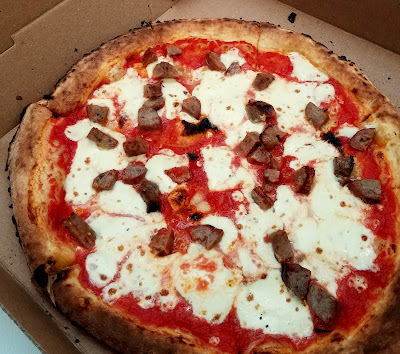 Not necessarily the best or the trendiest, but the most interesting - and though I didn't say it and in fact, struggled to answer because at the time Jersey City was going through a bit of a dining slump, my first instinct was to say Milk Sugar Love (despite it not being an actual restaurant). It was one of the best questions I've ever gotten about food and I've never stopped thinking about it since. 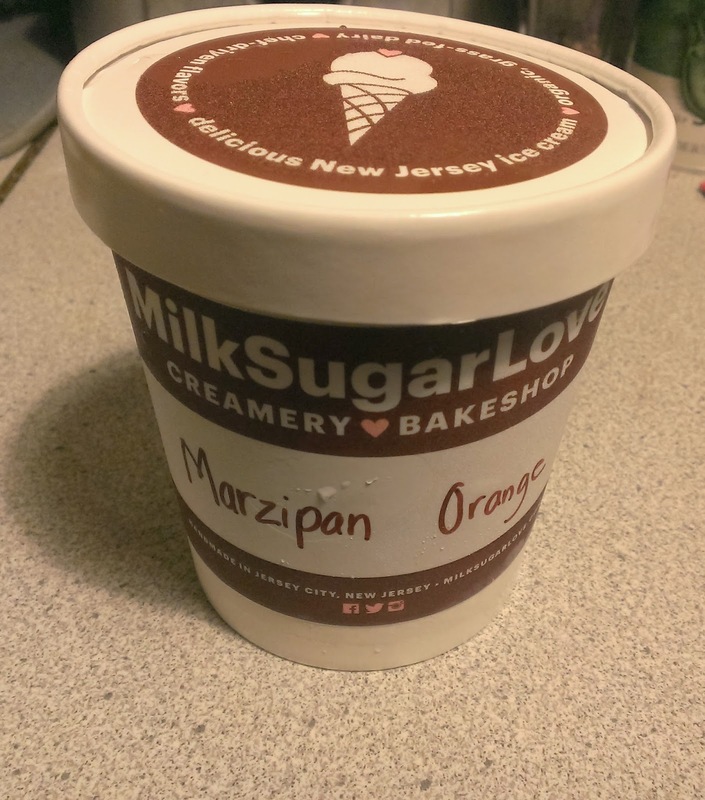 Whenever I do, Milk Sugar Love is always included in my mental list so you can imagine my complete and total delight when I found out they were collaborating on a special new flavor. Alex and Kevin Pemoulie, owners of Thirty Acres, announced yesterday that they are closing their much-lauded restaurant in Jersey City and will be moving to Seattle. Service at the restaurant will continue through Saturday, November 28th. The closure doesn't exactly come as a surprise, but it's certainly a huge loss for the dining culture in town considering Thirty Acres is one of the few truly innovative and high-caliber restaurants we have and can be credited with bringing a huge amount of attention and change to the Jersey City restaurant scene. 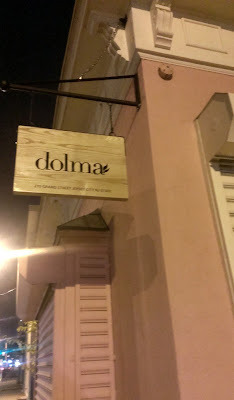 They've gone through a few transitions over the past four years, originally starting as a BYOB dinner spot before getting a liquor license, then adding a brunch menu, and most recently, changing to a ten course tasting menu format, but always with incredible attention to ingredients, detail and flavors. Taproot Organics, local organic soapmaker and vendor at all the markets around town, suffered water damage from a neighbor's fire last week and have had to leave their apartment and workspace. If you'd like to help, here's how. Chilltown Kitchen put together a video of their most recent supper club. A new delivery service, PostMates, has come to town. Originally launched in San Francisco, PostMates is now in 40 different markets around the United States and could best be compared to the Uber of delivery service. You place your order, they connect you with a driver/personal errand runner, and send you real-time updates on what is happening. While they are available for various services in other cities, it seems like they're currently focusing primarily on food in and near Jersey City.